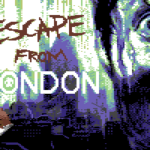 Escape from London was to be a text adventure written in 2013 and released with a small production run by Darren Edwards as part of his new CBM64novo company, with a number of new titles being planned. During the project, John (Hend) Henderson got involved and helped out producing a loading screen and artwork for the game’s cover. 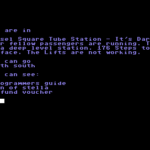 “The game is a text adventure. Primary location is London and the underground. Map is based around underground levels and areas above each station. 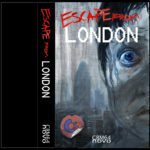 Main character is stranded at Russell square station (deep line) and after a few hours the group move on and the adventure. Location’s and map accurate to distance and geographical relation to London, tube map. (I did a 6 month contract at TFL). Contains humour to complement the adventure. Multi room descriptions, change state based on events. Interactive characters offer help and guidance. The game was offered for purchase in July 2013, with beta testing options made available. Here you can find the beta copy that we believe was sent out, thanks to Hend for passing it over. 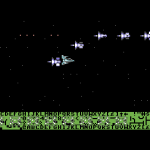 The game was being written in BASIC and a solid game taking shape. The author described the game as not being violent and requiring logical thinking process to complete. 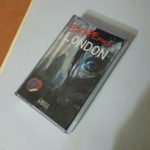 A future “EFL – Extreme” version was to be offered at a later date that would take into account the darker side of public disorder and civil breakdown. The game should have been released at the end of July, with digital copies following at the start of August. Copies were starting to appear on Ebay, but its believed that none actually went out – as the author unfortunately became ill and then disappeared. 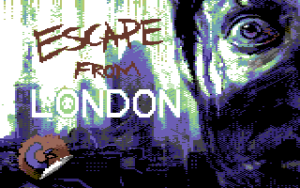 Unfortunately no-one has since been able to get hold of Darren to confirm if the game was to be released. Just to note though – all purchased copies on Ebay were refunded in full. A very sad end to what could have been a great new series of adventures. We may never know, but hope that maybe some day Darren could return and carry out his original intentions. We hope that Darren is ok. Thanks to Hend, we have been passed over everything that he had of the game and his own developed sketches and artwork – which look superb. The Alpha that we have added of the game could well be mostly complete, just with some minor bugs. We have classified it as a preview for now. There could well be a more complete version out there somewhere. 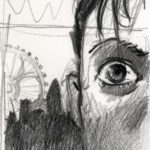 UPDATE – Author has resurfaced and is thankfully well. Game is to be redeveloped and relaunched. 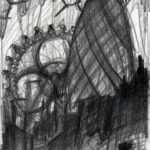 This alpha version can remain on the website as a result. (Tape, disk + CD) – + 1 year free release of new cbm64novo titles. Beta Releases of Titles and you can be involved in the testing. driver being on the platform passengers start to open the doors manually.